Does Jesus Himself Say Anything About The Rapture? You may be a believer in Messiah Jesus and know a lot about the Rapture or only a little. You may be an unbeliever who knows virtually nothing about the Rapture, except for hearing about it from time to time. Wherever you are in this spectrum, the question posed in this week’s Eye of Prophecy article may be puzzling. Some will respond incredulously to the question: Of course, Jesus spoke of the Rapture. Others might think: I know that the Apostle Paul writes about the Rapture, because the (two) passages in which he describes it are the ones that many people cite exclusively. However, I don’t think Jesus himself spoke of the Rapture. Still others might say: I think Jesus talked about the Rapture. But I’m not sure what words he used or where to find them. And if he was referring to the Rapture or just his second coming to the earth, or both? Some think that the Rapture and the return of Messiah Jesus to the earth to end the Great Tribulation are one and the same. 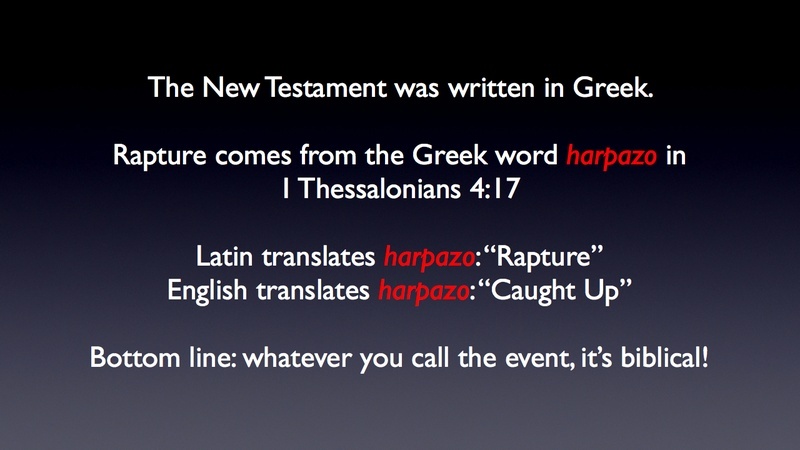 You may or may not know that the term (Rapture) isn’t found in the Bible. However, the event itself is, including amazing details of what transpires and the sequence thereof. The Latin word is employed as a summary of all features of the event originally encapsulated in the Greek word, which means a catching or seizing up of believers by Messiah Jesus to heaven. The Apostle Paul tells us that Jesus will bring about the Rapture. But did Jesus, himself, say anything about this extraordinary event? Stay tuned and discover that, in fact, Jesus directly disclosed all the revelations concerning the Rapture, including the two passages recorded by the Apostle Paul. 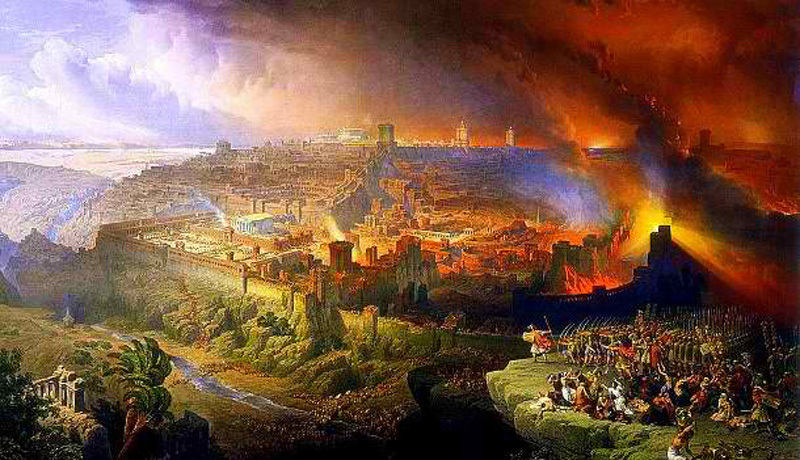 After Israel’s remarkable rebirth as a sovereign nation in 1948 and especially following the liberation and reunification of Jerusalem with the rest of Israel in the miraculous Israeli victory of the 1967 Six-Day War, there has been an explosion of interest in Biblical end-times prophecy unequalled since the first century A.D. Both events were part and parcel of hundreds of Biblical prophecies and both were accomplished against all (natural) odds. Not only on Israel; the world’s 20th century attention riveted on two World Wars and a host of other unprecedented events (like the formation of dozens of new nations) continuing into our 21st century that billions of people, believers and unbelievers alike, consider to be apocalyptic. A beginning of the end. So much so that it didn’t even take another major war, or natural disaster, or ominous geopolitical or economic event to galvanize global awareness on what many believe to be the last days of the end times. You remember the year 2000, don’t you?! The realization that it was not only a new century but a new millennium, generated an apocalyptic apprehension that swept over the planet. Many predicted a millennial meltdown of computer chips and systems, which in turn would wreak havoc on the infrastructure of nations. Power grids would collapse; machinery would stop running; complex military, government, and economic networks would fail; and (worst of all!) the internet might self-destruct. Most Christians were convinced that the Rapture would take place sometime during that fateful year. After all, it was the beginning of the third millennium since the birth of Messiah Jesus. And the seventh millennium of recorded time. 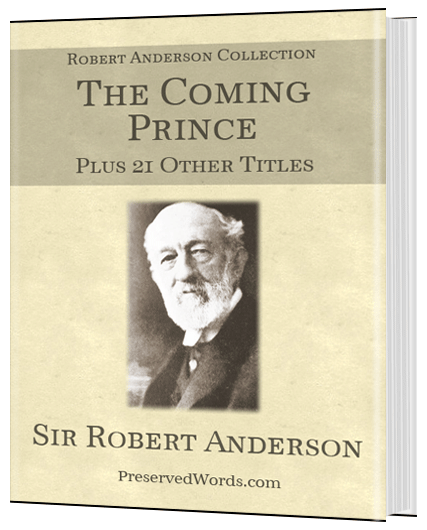 There was nothing left in Biblical prophecy as a prelude to the Lord taking believers from the earth … to spare them from the Great Tribulation in preparation for Messiah’s second coming to this earth. Could there have been any time more prophetically pertinent than the year 2000? I was one of what seemed to be only a few believers who were convinced that the Rapture would not take place that year. This certainly isn’t criticizing my brothers and sisters in Christ, as I, too, had the same fervent expectation that such a pivotal year in the history of mankind would be the year of Messiah’s Rapture of the true church … those who have placed their personal trust in the substitutionary sacrifice of Jesus and have accepted him as personal Savior. I passionately hoped they would be right about the Rapture in 2000. And I was disappointed that they were wrong. My exclusive reason for being persuaded that the Rapture would not take place in 2000 was based on what Scripture says. Which essentially is: when least expected. 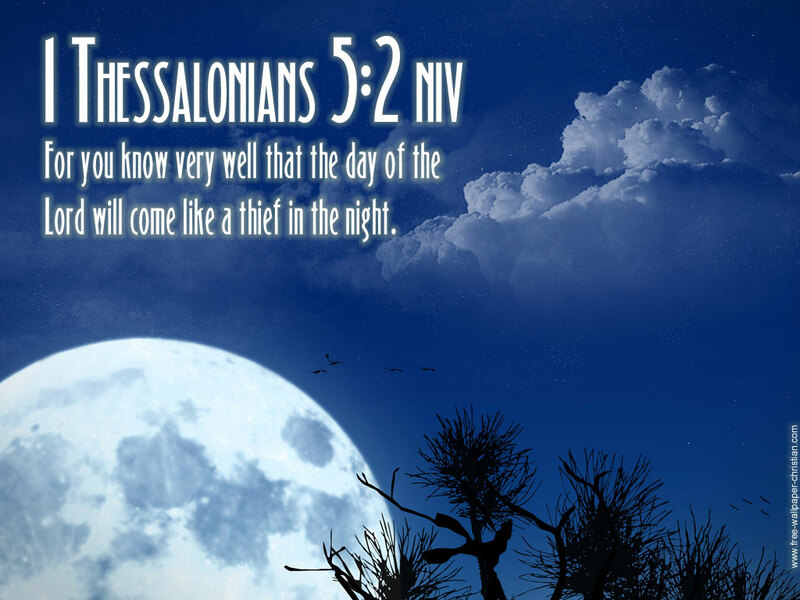 The Apostle Paul compares the event of the Rapture to: a thief in the night. Although this analogy was mostly in the context of how the Lord’s return will affect unbelievers, it also applied to the expectation level of believers. Whereas Jesus and Paul (also Peter) encouraged believers to be ready and alert, waiting patiently and watching eagerly for the Day of the Lord, they also emphasized that it would happen at a time least expected—even for believers. This certainly relates to notable days, months, and (as we now know) to the year 2,000. For example: many believers—both Jewish and Gentile—believe that the Rapture will occur on a major Biblical festival, such as Passover, Rosh Hashana, Yom Kippur, or Sukkot. Or perhaps Christmas or Easter or even Hanukkah! Non-Messianic observant Jews, who contend that Messiah’s arrival will be his first, also speculate that he will appear on a significant Holy Day. Yes, it could be one of those days, but likely as not, it won’t be. Those days are too obvious! In contrast to unbelievers who will be shocked at the Rapture and ensuing Tribulation, Paul compliments believers by saying that they: “…aren’t in the dark about these things … and you won’t be surprised when the day of the Lord comes like a thief” (I Thessalonians 5:4). However, not being surprised relates to the surety that the Lord will return. Intensified by the awesome privilege of knowing beyond doubt why the Rapture part of his return will take place. “For God chose to save us through our Lord Jesus Christ, not to pour out his anger on us” (Verse 9). The anger referred to is none other than: “…then disaster will fall on them (unbelievers)” during the Tribulation, shortly after the Rapture takes place. (verse 3). Believers not being surprised at the event of the Rapture is different than the Rapture occurring when least expected. 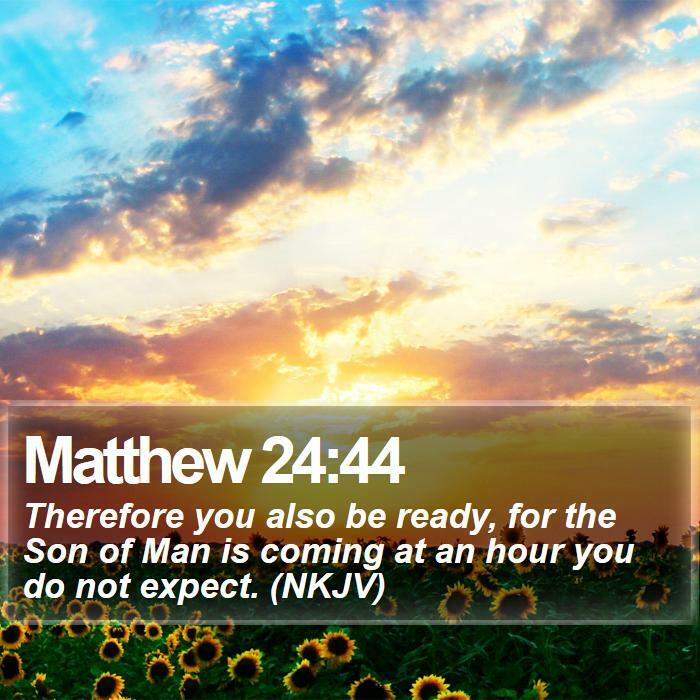 Jesus said so himself: “You (talking to believers) also must be ready all the time, for the Son of Man will come when least expected” (Matthew 24:44, parenthesis mine). In the last 50 years, the imminent return of Messiah Jesus so enthusiastically embraced by the early Church, has once again been the “talk of the town.” What God says will happen has always happened and will continue to unfold before our 21st century eyes. However, despite the clear evidence that hundreds of Biblical prophecies have been fulfilled, most unbelievers scoff at the idea, “that Jesus is coming again” (II Peter 3:4). And, when they see the first part of his Second Coming (the Rapture) for themselves, many of those left behind will still mock. Good riddance; we’ve got the whole world to ourselves now. The term that Bible scholars, teachers, and students use most often to identify the return of Messiah Jesus is: Second Coming. Or: Second Advent. In addition to coming and appear, Jesus also uses the term, return. “So you, too, must keep watch! For you do not know the day or hour of my return” (Matthew 25:13). The Second Coming of Messiah Jesus is part of what Old Testament prophets referred to as the Day of the Lord. Jesus was the first to warn that his (second) coming would catch an unsuspecting world off guard. However, he also spoke of many things that would transpire before his powerful and glorious appearance (return) to earth. These events are revealed in both general and specific detail throughout Scripture, especially in the books of Isaiah, Ezekiel, Daniel, Zechariah, Matthew, Luke, and Revelation. For example: Messiah’s spectacular return to earth to do battle with the combined armies of the Antichrist and Kings of the East as recorded in Revelation Chapter 19. Which clearly doesn’t take place until after the entire chronological sequence of the Great Tribulation. With the obvious conclusion that his Second Coming to earth will not be at all unexpected and will be preceded by signs and wonders for all those left behind at the Rapture to see. With multiple opportunities (depending on how long they survive) to know beyond any doubt that the same Messiah who took believers to heaven before the carnage began would be returning to judge the world. Sadly, most of them will still reject the true Messiah in favor of the one vainly parading himself before the world as God. Yet, both Jesus and Paul tell us that the Lord’s return will (also) come like a thief in the night, unexpected and without warning. The only possible way to accurately juxtapose what seems to be a paradox between unexpected and clearly expected is to fully understand that Jesus’s return is in two parts … two distinct phases. Please refer to Eye of Prophecy article: Messiahs’ Return and the Rapture (Same or Separate Events?) Posted 12-3-16. In which this subject was covered in detail. In keeping with today’s article (title), we’re going to focus more on what Jesus, himself, said about his Second Coming. Identifying critical passages pertaining to the first part of his appearance (Rapture) in contrast to his second (final) physical return to the earth. Which will help to better understand that the imminent aspect of Jesus’s Imminent Return, concerns the Rapture phase of his Second Coming … only for believers. Whereas, the return part applies to his glorious appearance to the entire world, an immediate prelude to his victorious conquest of Satan, Antichrist, the False Prophet, and rebellious humanity that had spurned the true and living God and His Messiah. This second phase comes with myriad events preceding his actual return to earth, unfolding with prophetic precision just like Scripture said they would. Don’t be confused or even puzzled over this phenomenal two-part event; one at the beginning and the other at the end of seven years of the last days of the end times. In fact, it is one of the four epic events of God’s interaction with humanity, all of which involve two parts or phases. Four (and its multiples … forty, four-hundred) is one of those divinely significant numbers found in both natural and supernatural conditions throughout human history. Several numbers in the Bible bear a great deal of meaning … we are going to see how the number four relates to and explains a huge portion of Israel’s history; in the context of God’s providential direction for the Jews and their interaction with mighty Gentile nations. The number four derives its significance from God’s creative work especially pertaining to the earth, including God’s dealings with and disposition (rise and fall destiny) of nations. It is the number of wholeness, totality, entirety, and summation. It is a number concept that would be completely incomplete if we eliminated just one of the component parts of any given foursome. If we want to move from one place to another, we must go forward, backward, left or right. Up or down doesn’t count; if we go beneath or above the earth, we must then travel in one of four directions. 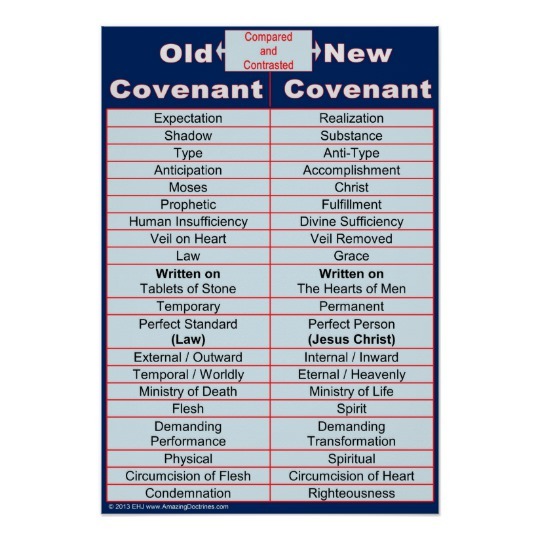 In addition to the two-part Imminent Return of Messiah Jesus, the other three grand Biblical events also come in pairs—each of which is typified by and reflected in the juxtaposition between the Covenant of the Law (Old Testament) and the Covenant of Grace (New Testament). God’s Two-Part Plan for Humanity: I’ve discussed these panoramic plans at varying lengths in prior articles. They are: (1) Selection of Abraham to father the Jewish race. With Israel as the perpetual Promised Land and Jerusalem as its eternal capital for Abraham’s descendants. Through the Jews would come the Messiah, which is part two of God’s magnificent design for humanity. 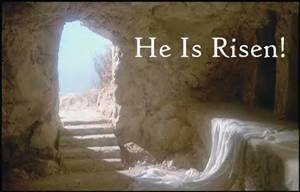 (2) Messiah Jesus’s redemptive sacrificial death for the sins of all who believe and receive him as personal Savior. Followed by his astonishing resurrection that will (soon) enable believers to also be resurrected with the same glorified body in which Jesus arose. God’s Discipline of Israel / Two Exiles and Twice Return of Jews: (1) Israel’s ten northern tribes conquered by Assyria, then the two southern tribes by Babylon; for their disobedience to and abandonment of the Lord. The southern tribes (remnant) returned to Israel after exile to Babylon, but lasted only until: (2) Rome sacked Jerusalem and destroyed the second Temple, which began a far lengthier exile of Jews to the four corners of the earth. This was a direct result of God’s people as a nation rejecting their Messiah, the one who brought the New Covenant to them and the whole world. 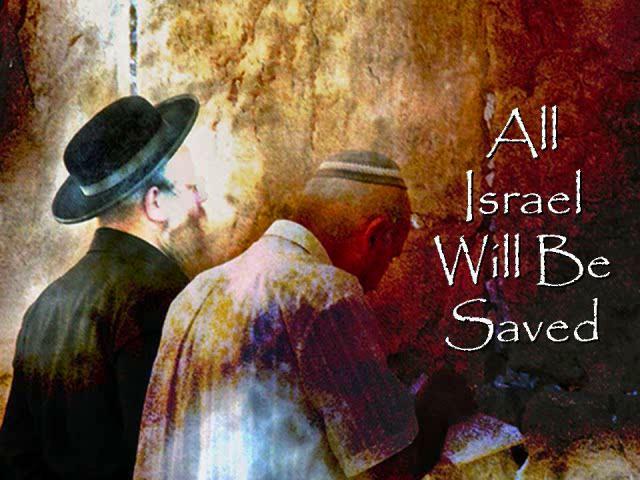 See Eye of Prophecy article: Double Israel’s Trouble and Double Her Blessings! (8-13-16). Messiah’s First and Second Advent: (1) Jesus of Nazareth born of a Virgin at the appointed time that changed the very keeping of time (B.C. to A.D.). 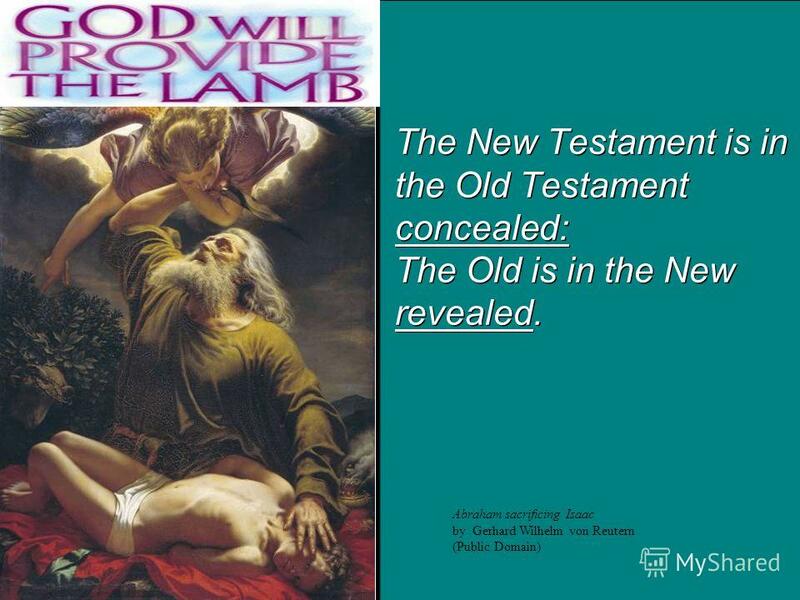 He came 2,000 years ago as, “…The Lamb of God who takes away the sin of the world!” (John 1:29). 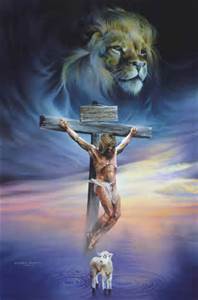 (2) He will return as, “…the Lion of the tribe of Judah, the heir to David’s throne…” (Revelation 5:5). Each advent is prophesied several times in the Scriptures. In Isaiah Chapter 9, both events are proclaimed in just two verses. Beginning with: “For a child is born to us, a son is given to us. The government will rest on his shoulders. And he will be called: Wonderful Counselor, Mighty God, Everlasting Father, Prince of Peace. His government and its peace will never end…” (Verses 6-7a). And now to look more closely at the fourth of these (two-part) monumental milestones. This phenomenal event precedes the even more spectacular physical return of Christ; thus, it is separate from his return. The Rapture is the catalyst of, but not his actual return to rescue Israel by conquering her enemies; thereby, saving the entire world from annihilation. The Rapture is the trigger-point of the Great Tribulation, which includes God’s wrath poured out on the world, followed by Messiah’s Millennial Reign on earth from Jerusalem. Let’s begin with Jesus’s direct disclosure to the Apostle Paul, one of the most well-known passages in the Bible. However, to note that this wasn’t the first time Jesus had revealed something to Paul through direct communication with him. These divine encounters began when Paul saw and heard Jesus on the road to Damascus; a life-changing, destiny-altering meeting with the risen Messiah. Even changing his name from Saul (a die-hard Jewish Pharisee who persecuted Christians) to Paul—the greatest apologist for the Christian faith who has ever lived. Then later Jesus said: “…Be encouraged, Paul. Just as you have been a witness to me here in Jerusalem, you much preach the Good News in Rome as well” (Acts 23:11). Now, the famous passage which contains Paul’s first reference to the Rapture (he wrote I Thessalonians before I Corinthians). Notice that he begins by telling us this is a direct revelation from the Lord Jesus. “We tell you this directly from the Lord. For the Lord himself will come down from heaven with a commanding shout, with the voice of the archangel, and with the trumpet call of God. First, the Christians who have died will rise from their graves. Then, together with them, we who are still alive and remain on the earth will be caught up in the clouds to meet the Lord in the air. Then we will be with the Lord forever. So encourage each other with these words” (I Thessalonians 4:15-18, italics for emphasis). First, “we” that begins the passage (as opposed to what would be the usual first person, “I”) refers to Paul and the Lord together. Secondly, to make the major distinction between the Rapture and the Return of Christ, Paul specifies that all believers will meet the Lord in the air. Messiah Jesus does not come down to earth. That will take place (about seven years later) when he physically returns to end the Great Tribulation. Subsequently in I Thessalonians Chapter 5 (verses 2 & 10), Paul uses the term return … of the Lord. Return (also used by Jesus) is an all-purpose description that incorporates both phases of Jesus’s Second Coming or Imminent Return. Nonetheless, we can distinguish between the two and determine which part of Messiah’s return is being described, by whether Jesus and Paul are attaching the word (return) to that which will take place unexpectantly … imminently, meaning The Rapture. Contrasted to his physical return that will take place only after the succession of events that constitute the Tribulation. In other words, the purpose (timing) of these two phases of return is identified and characterized by HOW Jesus will appear and to whom. A press release from the United States Executive Staff announces that the President is scheduled for a breakthrough engagement with the leaders of several European countries. This sojourn in Europe will last seven days, then he will return to the White House. However, before the seven-day period begins, the President will make a stop in Great Britain to personally arrange with England’s Prime Minister the send-off of the United States ambassador to a brand-new home on an island paradise for a long-anticipated rest (retirement from the affairs of this world). The transfer of the ambassador was imminent, but the exact day or hour would not be announced. This to accommodate the flexibility of the President’s schedule. Also, for the world at large to focus on the critical seven-day period during which time the development of ominous world events would be discussed. Though the European leaders intensely disliked not knowing when the President’s imminent trip to Great Britain would take place, the President would consent to meet with those leaders who would agree to drop what they’re doing and welcome him. My analogy is limited but you can you see that the President’s trip is distinctly divided into two parts: one unannounced, the other itinerary known to the entire world, including the fact that the President would return in seven days. So it will be between the imminent Rapture and the seven-year Tribulation, the end of which will come when the Son of Man returns to the earth (His white house will be the rebuilt Temple in Jerusalem!). The other well-known passage of the Rapture written by Paul is preceded by the Holy Spirit’s inspiration to Paul, in which the fact of the resurrection and the spiritual bodies of resurrected believers is explained. See I Corinthians 15:12-50. Then, however, Paul abruptly shifts the narrative to precisely what will happen to cause this tremendous transformation of believer’s bodies (dead and living) to our immortal spiritual bodies. Once again, pay special attention to the beginning of this passage, as it, too, confirms that this revelation came directly from the Lord. “But let me reveal to you a wonderful secret. We will not all die, but we will all be transformed! It (the transformation itself, not the entire sequence of the Rapture as presented in I Thessalonians) will happen in a moment, in the blink of an eye, when the last trumpet is blown…. For our dying bodies must be transformed into bodies that will never die; our mortal bodies must be transformed into immortal bodies” (I Corinthians 15:51-53, italics for emphasis, parenthesis mine). (For the detailed sequence and proposed time-lapse of the entire Rapture, please see Eye of Prophecy article: The Shout Heard Around the World (Published 4-22-17). This secret or mystery was directly from the Lord, just like Jesus revealed a mystery to John in Revelation 1:20, and an angel of the Lord to John in Revelation 17:7-8. This was Jesus’s second direct revelation to Paul concerning the Rapture, one that expanded on the first disclosure in I Thessalonians 4. In the first revelation, Paul tells us, “…that the day of the Lord’s return will come unexpectantly, like a thief in the night” (I Thessalonians 5:2). That “day” is the day when the Rapture will take place … without warning, just like a thief would strike. Followed soon by the onset of the Great Tribulation, with Paul graphically portraying the world’s lifestyle and condition at the time. “When people are saying, ‘Everything is peaceful and secure,’ then disaster will fall on them as suddenly as a pregnant woman’s labor paints begin. And there will be no escape” (Verse 3). Jesus uses the same kind of illustrative warning with his analogy to God’s first world-wide judgment of the Great Flood. We know that he’s referring specifically to the Rapture phase of his return as he prefaces his comparison by one of the four statements that he makes … no one knows the day or hour of his return. “When the Son of Man returns, it will be like it was in Noah’s day. In those days before the flood, the people were enjoying banquets and parties and weddings right up to the time Noah entered his boat. People didn’t realize what was going to happen until the flood came and swept them all away. 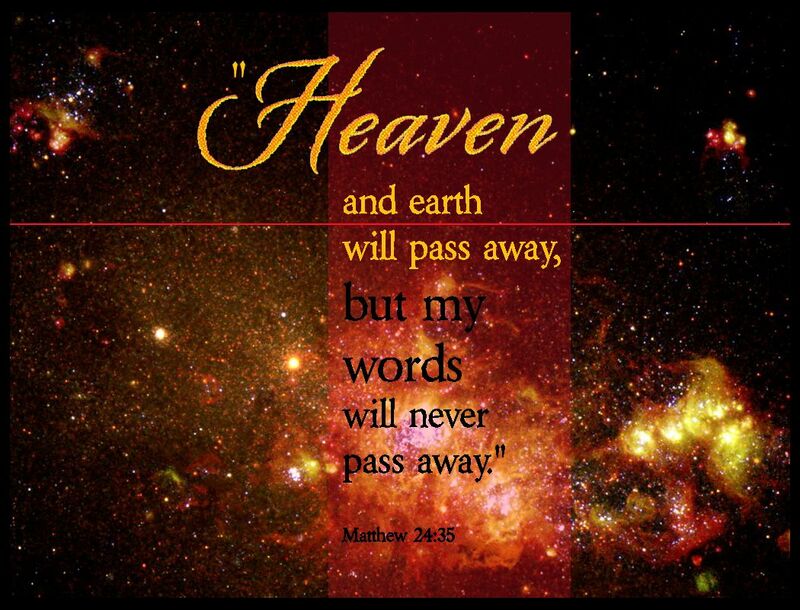 That is the way it will be when the Son of Man comes” (Matthew 24:37-39). Noah entering the ark is a parallel to the Rapture. At that point he and his family were safe from what was about to happen. By the time the horrific Tribulation nears an end—with all the shocking plagues, some man-made, others inflicted by God himself—no one is going to be surprised. Especially during the last half of the Tribulation, nearly everyone will have fully realized what was happening and why. Sadly, most will still not repent and turn to the Lord. However, I don’t think there’s going to be a lot of revelry and carefree things going on. Not with millions of people dying all over the earth on a regular basis. The terrible turmoil of the Tribulation won’t end until Messiah Jesus returns to the earth to set things right. The partying referred to by Jesus is prior to the Rapture, which will precipitate the Tribulation. The above verses are followed immediately by another startling statement from Jesus, which continues his reference to the Rapture, confirming that it will be completely unexpected. An explanation affirming that believers will be taken from the earth and unbelievers will be left behind at the Rapture. Just like Noah and his family and Lot and his family were taken out of harm’s way and saved from God’s wrath, so will believers taken at the Rapture be spared from God’s final judgment of the earth. Said Jesus: “Two men will be working together in the field; one will be taken, the other left. 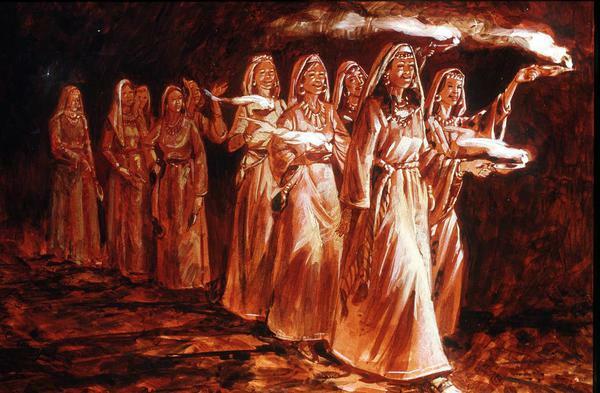 Two women will be grinding flour at the mill; one will be taken, the other left” (Matthew 24:40-41). The context is crystal clear: This could only happen at the Rapture, as the taking is abrupt … without warning, at any time. As opposed to the ensuing Tribulation that will affect only those who are “left” (behind) to experience seven-years of calamities that will literally shake the world to its very core. Other than the astonishingly abrupt reappearance of the Antichrist (Nero) at the outset of the Tribulation, there’s nothing unscheduled during the Tribulation itself. As thoroughly and sequentially (the twenty-one plagues) recorded in the book of Revelation, with the resulting conclusion that they come with plenty of warning (2,000 years’ worth) in contrast to the unexpected Rapture of which no one knows the day or hour. 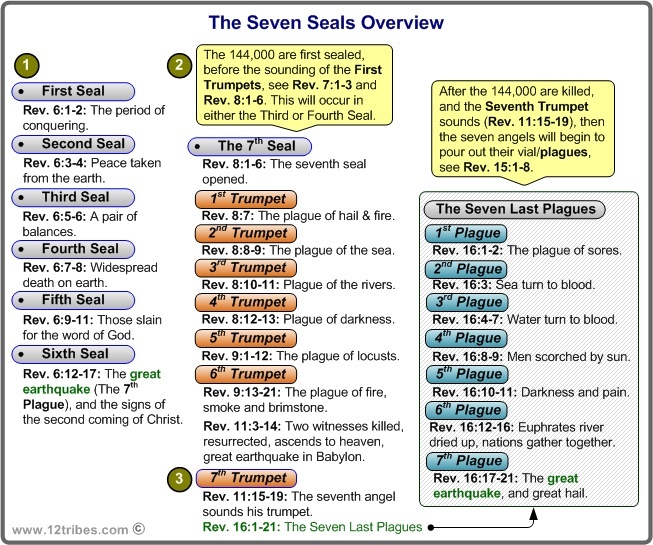 In fact, anyone left behind at the Rapture who cares to read the seven seal, seven trumpet, and seven bowl judgments of Revelation, will know exactly which one is coming next. And WHO is coming afterward! Sometimes specific—like the moon turning to blood—but usually in more general terms (composite effect) the catastrophes of the Tribulation also are prophesied by Old Testament prophets. And, by Jesus, himself in Matthew 24:4-29, in which he is describing the Tribulation, not the Rapture. His words about the Rapture come later, some of which we’ve already covered. In conclusion to what he calls, “greater anguish than at any time since the world began” and later in the chapter, “the anguish of those days” (Matthew 24:21 & 29, respectively), listen to Jesus’s dramatic description of his actual return, which is accompanied by a sign in the heavens. Thus, there is a clear time-lapse differential between the Rapture and Messiah’s return to the earth. See Revelation 19:11-21 for a stunning account of Jesus’s final descent to the earth. There’s more: We believers will be with him, also descending to the earth. We’re not going up, we’re coming back down—after seven years of (blissful) waiting in heaven for this glorious moment. Believers will not meet Christ going (up) and coming (down) all at once. That makes no sense at all. That would be like an elevator full of employees going up to meet their boss with the unmistakable understanding that he is waiting for them in the Penthouse Suite having prepared a great Christmas party for them. Only for the boss to change his mind after they arrive, and then take the elevator back down with all the guests to first “take care of business” below. Praise and thanks to God … born again believers will sit out the tribulation! There will be seven years between our elevator rides. Indeed, Jesus had much to say about the Rapture. In fact: He is the ONLY ONE to directly reveal the unfolding of this awesome event. Am I saying that the Apostle Paul didn’t tell us point-blank about the Rapture? Answer: Yes, I am saying that! With, however, the qualification that all Scripture is given by inspiration of God through the Holy Spirit as Paul and Peter tell us (II Timothy 3:16 & II Peter 1:20-21, respectively). But that applies primarily to the specific writing (recording) of the Word of God as a Biblical whole. The Holy Spirit brought to remembrance and directed the thoughts and words of the actual composition of Scripture through individual writing styles of the various authors. God proclaimed his Word to mankind through prophets, apostles, and angels … through dreams and visions and actual appearances. 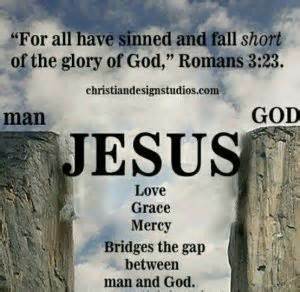 With much of Scripture containing the direct spoken words of God the Father and God the Son—Messiah Jesus. “Thus, saith the Lord,” is a frequent expression of and representation by the Lord regarding direct verbal or visionary revelations to people. This is not a superior means of disclosing God’s truth. It’s just different; a more direct way than the Holy Spirit guiding and motivating the recording of these revelations and historical facts of people, places and events. A Holy Spirit inspired synthesis of, for example, the three parts of redemption—justification, sanctification, glorification—for all those who accept God’s atoning salvation through His Son, as presented in the New Testament epistles. All Scripture is intrinsically equal in importance and impact. But when we read words spoken directly by God and His Son, we get a first-hand, up close and personal appreciation of the Lord’s direct involvement in and concern for the eternal life or eternal death of every human being. 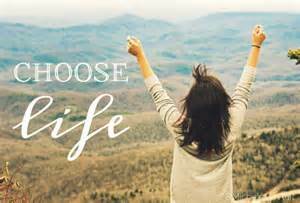 From the beginning God gave us the freedom to choose between the two and tells us in his own words why the choice will determine our eternal destiny. And then the Lord, through the Holy Spirit, inspired the prophets and apostles to fuse God’s (Father and Son) powerful and precious Words of light, life, and truth into sound doctrine. The significance of the mysterious Rapture being revealed directly by Messiah Jesus himself reinforces the absolute truth that God’s plan of salvation revolves around and is found in what He did for us that we could not do for ourselves. Beginning with his First Advent to sacrificially die for our sins, the efficacy of which was validated by his resurrection from the dead. Culminating in his Second Advent that begins with the Rapture, in which he will resurrect dead believers in Christ and transfigure the bodies of all believers—dead and alive—into a spiritual body equipped to live forever in heaven. “We tell you this directly from the Lord…” (I Thessalonians 4:15). “So encourage each other with these words” (I Thessalonians 4:18). Then: The Son of Man will come on the clouds of heaven with power and great glory (Matthew 24:30). 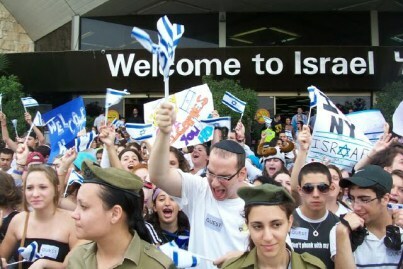 Jews all over the world, especially observant Jews in Israel, are becoming exponentially excited over Israel’s redemption. They see this restoration as both physical—rescue from and protection against their enemies—and spiritual … individual and national return to God through renewal of the sacrificial system lost to them when the second Temple was destroyed. No matter what form this revival takes and no matter whether a Jew is religious or secular, there is one prevailing and passionate premise: Messiah will make all these things happen upon his glorious appearance. For most Jews this will be the first arrival of Messiah. For born-again believers, Gentiles and Messianic Jews alike, this will be the majestic return of Messiah (Jesus Christ). In this 107th article, which is also the 3rd post in the 3rd year since this project began in late July, 2013, it’s fitting to quote the subtitle of the Eye of Prophecy website which is: “For the essence of prophecy is to give a clear witness for Jesus” (Revelation 19:10). The very center of Biblical prophecy, Jesus Christ, is what this ministry is all about. I trust that the articles have been true to and accomplished that objective. Thus, considering that the numbers seven and three are directly related to and reflective of God’s divinity and sovereignty, it’s also fitting that this week’s article focuses on this Messianic fervor that is sweeping over Israel. Although most of the topics listed in the first paragraph of this article are not specific Biblical prophecies as such, they are, when combined together, amazing evidence that the time of Messiah is near, so very near. Why can we say that? Because the last time that Israel and even surrounding Gentile nations were so zealous about the arrival of Messiah, that’s exactly what happened! 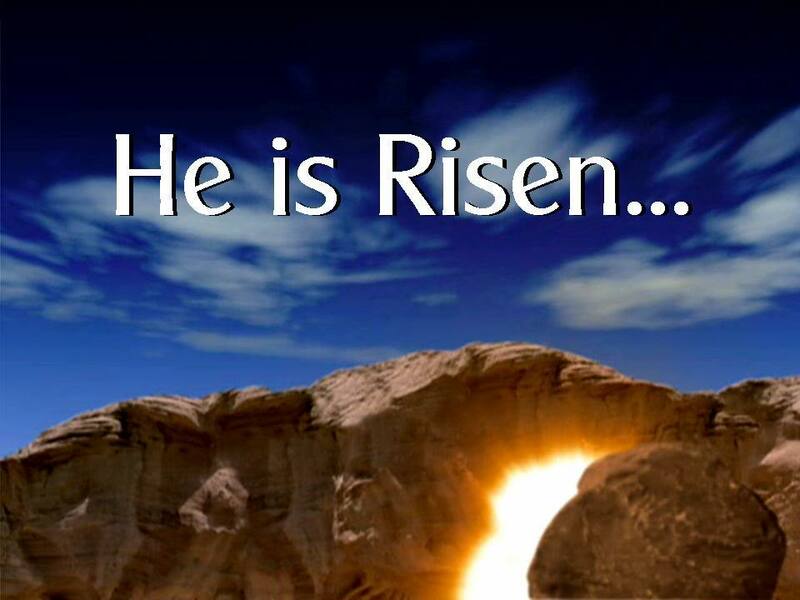 Jesus Christ appeared on the scene of history fulfilling dozens of Biblical prophecies that he was, in fact, the Messiah … with an abundance of documentation, the greatest proof of which was his resurrection from the grave! Scholars differ in opinion as to the extent of Messianic anticipation found in the first and second centuries before and after the birth of Jesus of Nazareth. But when you include Biblical historical accounts with Jewish writings, it’s hard to escape the (clear) evidence that many Jews in Israel were eagerly looking for Messiah to arrive any day. This was especially evident during the rise of the Roman Empire and certainly when Rome added Israel to its conquered territories. The more the Romans exercised control over Israel, the greater was Israel’s longing for Messiah’s coming. The vast majority of Jews believed that only the Messiah could free them from Roman subjugation and restore Israel to the glory days of King David. There were numerous examples of this increasing hope for Messiah’s imminent appearance, none more so that an entire segment of Jewish society known as the Zealots. The messianic materials referred to by Glenn Miller were primarily the Jewish Talmud which consists of two component parts: The Mishnah and the Gemara. The Talmud was a first and second century written compilation of thousands of rabbinical oral teachings and opinions that the Jews felt were necessary to successfully defend and maintain Judaism after the fall of Jerusalem and destruction of the second Temple. Miller also included findings from the Jewish Midrash, Targums, Dead Sea Scrolls (the Essenes), Jewish Pseudepigrapha and Apocrypha books such as I Enoch and 2 Esdras. The Magi: “Jesus was born in Bethlehem in Judea during the reign of King Herod. About that time some wise men from eastern lands arrived in Jerusalem asking, “Where is the new-born king of the Jews? We saw his star as it rose, and we have come to worship him” (Matthew 2:1-2). We then read that Herod was “deeply disturbed” about this news and asked the religious leaders where the Messiah was to be born. They replied by quoting Micah 5:2 … the ruler (Messiah) would be born in Bethlehem. In the context of this article, there are two distinct things going on here. First, most scholars (including me) believe these wise men had hailed from either Babylon or Persia or both. That they had read the prophecies of Daniel who was well-known to their ancestors. How else would they have known the approximate time and signs of Messiah’s arrival? The star was a supernatural means God used to guide them to Jerusalem, just a few miles from Bethlehem. What they didn’t know was exactly where the Messiah would be born. It took the Jewish religious leaders to search the Scriptures to locate the prophesied birthplace of Messiah. Ironically or conveniently the Jewish religious leaders would later (during Christ’s ministry and when they had him crucified) decline to check carefully where Jesus was born. Instead they regarded him as simply a man from Nazareth who was impersonating the Messiah. But it stands to reason that these Magi were not the only Gentiles who realized that Messiah’s time was at hand. Undoubtedly, there were others who didn’t make the trip to Israel to find the King Messiah and worship him. The Pharisees, Sadducees, Scribes, and Priests: Although the pious leaders of Israel refused to believe the incredible miracles that Jesus performed, his amazing teaching with great authority, and his claims that he was not only Messiah but the Son of God, it’s very interesting that they didn’t refute the fact that they and many of their compatriots fully expected Messiah to appear on the scene during their time on this earth. John the Baptist: John knew full well his purpose in life—to prepare the way for God’s Anointed One. He and his followers were altogether aware and eagerly embraced the evidence that Messiah would and then did arrive on the scene. In fact, John recognized Jesus as their Messiah when he said, “…Look! 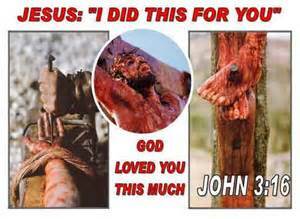 The Lamb of God who takes away the sin of the world” (John 1:29). Simeon’s Expectation of and Encounter with Messiah: “At that time there was a man in Jerusalem named Simeon. He was righteous and devout and was eagerly waiting for the Messiah to come and rescue Israel. The Holy Spirit was upon him and had revealed to him that he would not die until he had seen the Lord’s Messiah. That day the Spirit led him to the Temple. 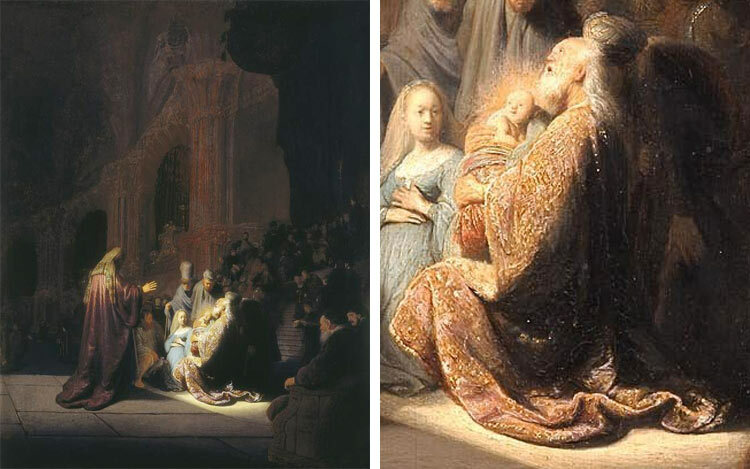 So when Mary and Joseph came to present the baby Jesus to the Lord as the law required, Simeon was there. He took the child in his arms and praised God saying, ‘Sovereign Lord, now let your servant die in peace, as you have promised. I have seen your salvation, which you have prepared for all people. He is a light to reveal God to the nations, and he is the glory of your people Israel!’” (Luke 2:25-32, italics for emphasis). For me this is one of the most precious and astounding accounts in the Gospels to demonstrate how God fulfills prophecy, in this case the preparation of both Jews and Gentiles for the magnificent and appointed time of his Son’s arrival on earth. Note the italicized portion of this passage: Simeon had been waiting (with obvious implication … a long time) enthusiastically for Messiah to come and rescue Israel. There is an obvious implication that Simeon was only one of many Jews who had this same expectancy, at some level or another. But Simeon’s passionate anticipation was intense and God rewarded him by letting him hold Messiah in his arms before Simeon passed from this earth. Immediately after this scene with Simeon, Mary, Joseph, and baby Jesus, an old woman named Anna was also rewarded for her faithfulness in believing that the time of Messiah had arrived. After seeing Jesus and also realizing who he was, she praised God and, “…talked about the child to everyone who had been waiting expectantly for God to rescue Jerusalem” (Luke 2:38, italics for emphasis). Not only for Israel, but Jesus would be a light to the Gentile nations. Sadly, those who denied Jesus, a rejection that led to his crucifixion, couldn’t and wouldn’t see who Messiah ought to be. They had not carefully studied their own prophets, especially Isaiah, who spoke of Messiah as the suffering servant of God, one who would be, “…pierced for our rebellion, crushed for our sins” (Isaiah 53:5). Yes, Messiah would rescue Israel, but it would be a spiritual liberation. Said the angel to Joseph: “… do not be afraid to take Mary as your wife. For the child within her was conceived by the Holy Spirit. And she will have a son, and you are to name him Jesus, for he will save his people from their sins” (Matthew 1:20-21). God knows all too well what is best for us: Unless the human heart is radically changed, there can be no peace with God and between peoples. Both Biblical and secular history is crystal clear: A vast cross-section of Jews and a few Gentiles in the first centuries BC and AD fully expected, some with ardent anticipation, the advent of Messiah. This was not a coincidence and certainly not by accident. And so: Jesus was born in Bethlehem, grew up in Nazareth, lived, taught, performed great miracles mostly in Galilee, and ultimately died for the sins of the whole world on a cross near Jerusalem. But then he rose from the dead, ascended back to heaven from the Mount of Olives. And from that very spot he will return in great power and glory, this time as the King of kings and Lord of lords. (See Acts 1:9-11 & Revelation 17:14). Now let’s look at some very contemporary things taking place in Israel that once again validates the soon return of Messiah. The twelve prophetic signs previously alluded to are more than sufficient to demonstrate that the Rapture is very close at hand. However, when we see how the incredible expectancy for Messiah has captivated attention of Jews all over today’s world, we can compare that phenomenon to the same first century passionate eagerness for Messiah’s arrival to save Israel. But the question then: Save them from what? For those of us, Jew and Gentile, who have been redeemed by Jesus’s atoning sacrifice on the Cross, it will be the glorious reappearance of our Lord. For the greater number of Jews in Israel and world-wide, they believe of course, that it will be Messiah’s first advent. But during the time of Jacob’s trouble (the Great Tribulation) they, too, will fully realize that Messiah and Jesus are one and the same. 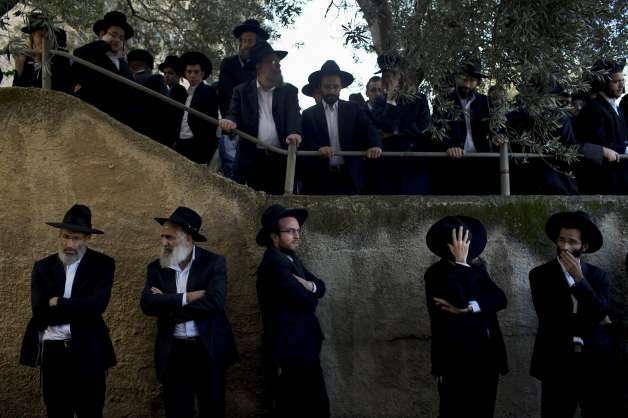 For now, suffice to say that Jews (particularly rabbis) are seeing Messianic connections between seemingly unrelated events. With the exception of Aliyah, the following list of correlations made by mostly Jewish Rabbis is not a fulfillment of specific Biblical prophecies as such. 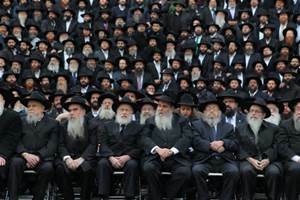 However, I firmly believe that when Jews, especially Rabbis, begin making these associations in such large numbers and to such a level of intensity; this is God’s sovereignty in action … by planting the seed of Messianic passion within the hearts and minds of his people just as he did before Christ came the first time. Literally this Hebrew word means going up (to Israel) or the ingathering return of Jews all over the world to Israel. The following Bible verse is one of many that predict this phenomenal event hundreds of years before the Jews were conquered and expelled from the Promised Land by the Romans in 70 AD, labeled the Great Diaspora by Jews and Gentiles alike: “For I will gather you up from all the nations and bring you home again to your land” (Ezekiel 36:24). This is the first of the twelve milestones (listed earlier in today’s article) discussed in Look Up, Redemption is Near, Part I & II, under the heading: The Rebirth of Israel…: that Messiah’s appearance is very near. God through Ezekiel goes on to say: “…I will bring them home to their own land from the places where they have been scattered. I will unify them into one nation on the mountains of Israel. One king will rule them all; no longer will they be divided into two nations or into two kingdoms … I will cleanse them. Then they will truly be my people, and I will be their God. My servant David will be their king, and they will have only one shepherd … They will live in the land I gave my servant Jacob, the land where their ancestors lived…” (Ezekiel 37:21-25). Thus they completely comprehend that, when Israel was reborn as a nation in 1948 and especially when Jerusalem was recaptured in 1967, the Biblical prophecy of Jewish exiles returning, as recorded in the book of Ezekiel (and other Old Testament prophets), is being fulfilled in this generation. Both observant and secular Jews realize resolutely that they are living in a historical time of Israel’s restoration and redemption. That the heart and soul of this ingathering return to Israel will be Messiah (my servant David … only one shepherd) uniting and leading them. Now let’s examine some more recent incidents that have made headlines in certain Jewish circles. Whether any of these happenings have any specific connection to Messiah’s actual appearance is not the point. The real consequence is that the Jews are viewing them as evidentiary signs that Messiah’s arrival is drawing ever so near. I’m sure there will undoubtedly be more events in the near future that will bear Messianic significance to the Jews. Specifically, we’ll look at comments or views from different Jewish Rabbis on these recent signs to show the totality of what’s happening in Israel and the world over, all of which can be boiled down to one common contemporary belief and premise that is sweeping over the Jewish community: Messiah will soon appear. The final of the four-part Blood Moon Tetrad (cycle) that began last year will occur in a few weeks … September 28th, 2015. I devoted one entire Eye of Prophecy article to this subject, entitled Blood Moons, published 4-19-14. I would encourage you to read that article, to better put this subject in a Biblical perspective. 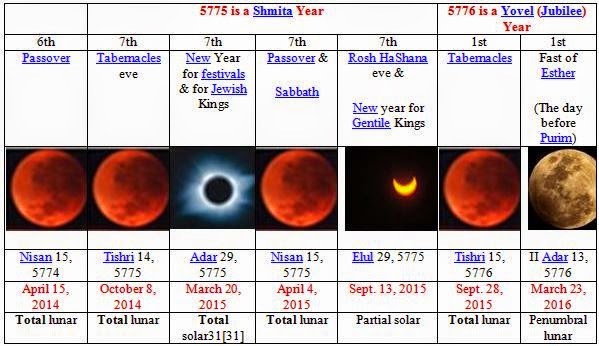 Although the main topic of Rabbi Kessin’s message was the blood moon phenomenon, he also referenced the Shemitah and Iran’s menace to Israel as other events that will usher in the Messianic age. “For six years you may plant your fields and prune your vineyards and harvest your crops, but during the seventh year the land must have a Sabbath year of complete rest. It is the Lord’s Sabbath. Do not plant your fields or prune your vineyards during that year” (Leviticus 25:3-4). Although there were other reasons that the Lord eventually disciplined Israel that ultimately led to their 70-year Babylonian captivity, violation of the seventh year of leaving the land fallow (Shemitah) was the reason cited by God for the destruction of Jerusalem and Solomon’s Temple. I believe the reason for God specifically naming this violation is that Israel (at the time) fully understood that they had failed to keep this important law, one that assured God’s blessing on their land. Israel disputed the other obvious wrong things they had done, which are time and time again listed by Isaiah, Jeremiah, Ezekiel, Amos, and other Jewish prophets. Of course God was right and his people were wrong, but the one thing they couldn’t take issue with is failure to keep the seventh Sabbatical year (Shemitah). 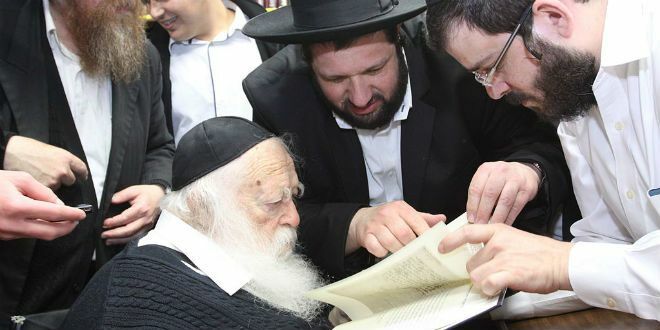 Rabbi Chaim Kanievsky, a highly respected rabbi among Orthodox Jews recently encouraged Jews from all over the world to return to Israel (Aliyah) as soon as possible, saying: “or there won’t be enough room on the airplanes.” He made this startling statement specifically in the context of the soon to end Shemitah, as well as all of the other signs that seem to be aligning with Messiah’s arrival. Beginning two-three decades ago, books were published and articles written on the astounding discovery of current (20th and 21st century) events unfolding based on hidden texts found mostly in the first five books of the Torah (Old Testament). Although the stir created by these hidden codes has dissipated in the past few years, once again a Jewish Rabbi has purportedly found a hidden code in the book of Daniel that, through the use of Gematria (numerical values assigned to the Hebrew alphabet, i.e. counting in Hebrew) shows that the time of Messiah is upon us. Time and space doesn’t permit in this article, so suffice to say that Rabbi Mattityahu Glazerson ascertained a numerical (gematria) connection between events in the book of Daniel, the Messiah as the Son of David, and the current Shemitah, followed by the next Jewish year. The calculations resulted in Rabbi Glazerson suggesting that, “the time of the end” phrase in Daniel will coincide with the conclusion of the Shemitah in the Jewish year 5775 on September 13th. But mostly importantly with the beginning of the next Hebrew year of 5776. 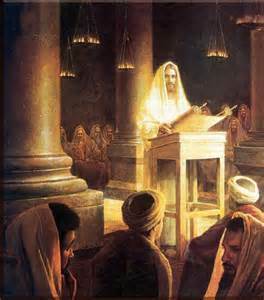 That Messiah should come sometime during this coming Hebrew year beginning September 14th, 2015. *Note: Personally, I’m not sure what to think about these hidden codes of Scripture, except to say that there is more than enough evidence in the actual text of the Bible to narrow down the “season” of the Lord’s return. I have written about this generational time-frame of the Lord’s return in several Eye of Prophecy articles, with the most representative of these being, The Omega Generation, posted on 2-15-14. 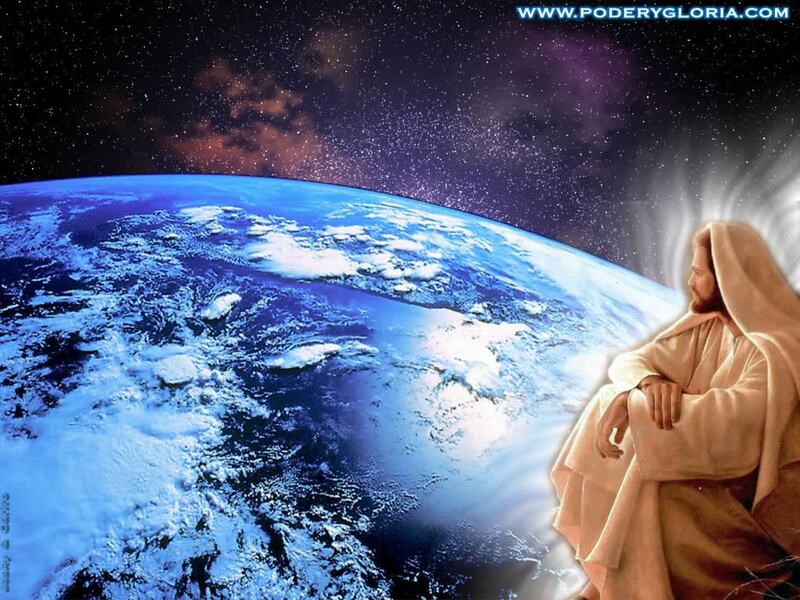 Jesus, himself, said that no one can know (predict) the day or hour of his coming. But we can and should carefully examine the seasonal signs; meaning the approximate time-range and window of opportunity when the Rapture will occur, followed in seven-years by the glorious return of Messiah Jesus to Planet Earth. Many Jews don’t necessarily consider the Third Temple as a prophetic phenomenon; rather, they view it as a matter-of-fact individual and national necessity, both literally and symbolically, as a precursor to Israel’s redemption. They even disagree whether rebuilding of the Temple will be launched by Messiah or by orders and initiation of observant Jews. Recently, much as been written (including several Eye of Prophecy articles) about the incredible emphasis on and enthusiasm over the Third Jewish Temple. Nearly all, if not all, of the Temple furniture and utensils have been finished, including the menorah and sacrificial altar itself. Descendants from the tribe of Levi have been identified (that can actually be done through DNA evidence! ), selected, and trained as future priests. The intensity of observant Jews over the possibilities of their rebuilt temple has reached unprecedented and unparalleled proportions in the past few years. Even secular Jews are beginning to accept the reality of a rebuilt Temple. 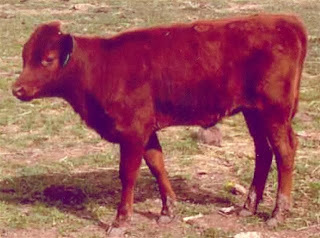 This breeding program began just a few weeks ago and could take three years or so to produce the perfect (red) heifer. It’s yet another example of what is taking place in Israel that is part of the end-times scenario. Biblically, however, it’s obvious that a red heifer does not actually have to exist before the Day of the Lord begins (with the Rapture). For those who may not know, Jonathan Pollard was convicted in 1985 of being an Israeli spy for disclosing US military secrets to Israel. He was sentenced to life imprisonment subject to a 30 year review for pardon. He was recently pardoned and will be released on November 20th, 2015, exactly 30 years later. It’s a well-known fact that several former CIA and FBI chiefs believed his life sentence was excessive, far exceeding Pollard’s treason in comparison to similar acts of espionage by other spies. The implication was that the sentence was so harsh because he was a Jew. As already indicated in citing this and the previous listed events or signs that many rabbis have considered imminent precursors to Messiah’s arrival; none of them individually may be, in fact, directly associated with Messiah. But taken as a whole, the pattern demonstrated indisputably reflects the same kind of Messianic fervor that preceded the arrival of Jesus Christ, which resulted in a partition of time itself … from BC to AD. Moreover, did you catch one amazingly crucial word in Rabbi Eliyahu’s statement? I don’t know if Mordecai Eliyahu was a Messianic Jew or not. Most likely he was not, as very few modern-day rabbis are; or if they do believe that Jesus is the Messiah, they’re not making it public. Please read his statement again and see if you can find the one word that might suggest he had possibly considered that Jesus of Nazareth was/is the Messiah. Did you find it? Did you even look?! If not, this is the word: RETURN. That’s right. He said, “…with the Moshiach (Messiah) Ben David’s return to the Land.” With what could very well mean just what the rabbi meant to say: That Messiah had already appeared to Israel … in the Land. 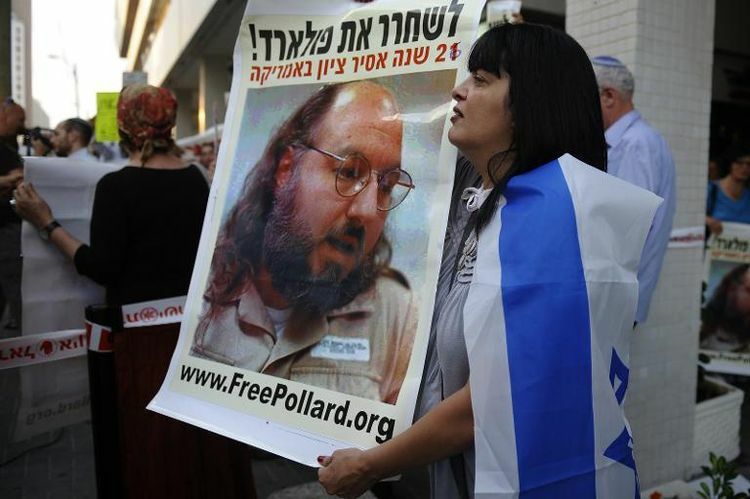 Messiah (Yeshua) is now ready to return, and usher in Israel’s redemption—symbolically represented by Pollard’s release from prison. 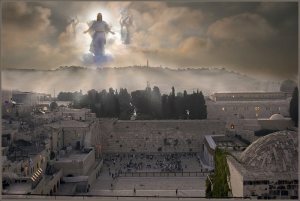 The main point: Virtually every recent significant event that involves Israel is being compared and connected directly to the end time arrival of Messiah! Just like what happened the first time that Christ came to this earth, born in Bethlehem of a virgin—the Son of God, the Son of David, and the Son of Man. The first time as the Lamb of God who died for the sins of the world. 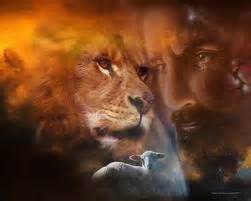 And soon, very soon, to return as the Lion from the Tribe of Judah to rescue Israel from total annihilation, to prevent the world from self-destruction, and to complete Israel’s redemption so that all of Israel (the remnant left from the Great Tribulation) will be saved, physically and spiritually. When Messiah returns in power and great glory, all Israel will know that he is Jesus of Nazareth. They will rejoice like never before; they will fight ferociously alongside him while he leads them to a resounding victory over their enemies. But first they will mourn greatly, because they will fully realize that it was they who nailed Jesus to the Cross; no different than their ancestors and no different from all of us whose separation from God compelled Christ to redeem us by paying the penalty for our transgressions. “…They will look on me whom they have pierced and mourn for him as for an only son. They will grieve bitterly for him as for a firstborn son who has died. The sorrow and mourning in Jerusalem on that day will be like the great mourning for Hadad-rimmon in the valley of Megiddo” (Zechariah 12:10-11). “…Yet I want your will to be done, not mine” (Matthew 26:39).